Since the release of the Final Report of the Truth and Reconciliation Commission in 2015, school systems across Canada have been grappling with how best to embed Indigenous perspectives into all grade levels and aspects of schooling, including lessons on the history and legacy of residential schools. This has included diverse approaches to curricular reform and staff professional development plans, which have revealed that schools are progressing at varying paces along their journey towards reconciliation as they work to implement the Commission’s education-related calls to action. 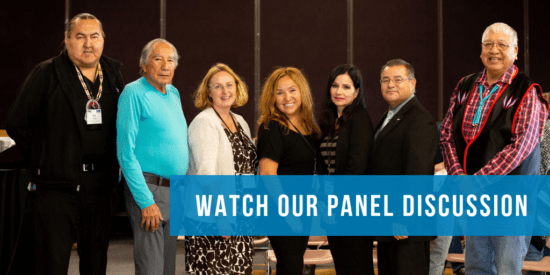 During the event’s main panel discussion, speakers affirmed the need for educators to assess their intentions and work towards navigating from a place of heart, in lieu of “walking on eggshells” and remaining stagnant out of fear of asking a silly question that could offend someone. Grounded in the view that not doing anything is likewise wrong, speakers accentuated how no one will ever feel 100 percent ready to take up this challenge – that teachers need to be brave enough to say “I don’t know,” which is critical when working with Indigenous peoples and marginalized communities, according to panellist Dr. Pamela Rose Toulouse. Beyond those three words follows a willingness to reach out to valuable human resources – school district Indigenous consultants, Elders, Knowledge Keepers and those with authentic expertise – so that teachers can advance their own knowledge, build trust-based relationships, and work collaboratively with Indigenous peoples to teach all students about treaties, residential schools and long-standing issues facing Indigenous communities. “But I don’t have Indigenous students in my school” is but one of the common excuses Dr. Toulouse has encountered from educators. Her suggestion is to liken reconciliation as a collective endeavour as are other large-scale challenges such as food security, climate change and equity, which touch anyone who has children, grandchildren, nephews and nieces, family and friends who comprise today’s generation and those to come. Confronting indifference and excuses also entails illuminating the contemporary contributions of Indigenous peoples – giving credit where credit is due for Indigenous inventions and inspirations for the “sport of hockey, medicines, potato chips and Dr. Pepper,” as Dr. Toulouse listed. 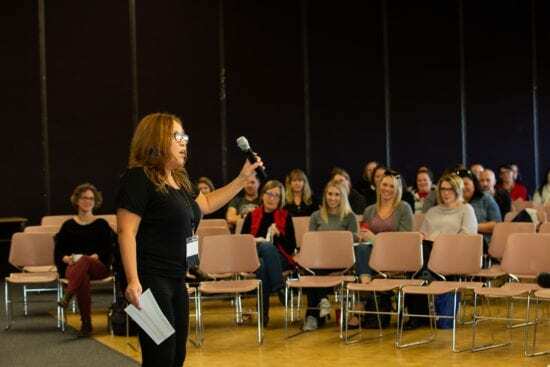 Whereas curriculum will speak about residential schools and treaties, educators are charged with filling-in gaps by leading conversations about positive Indigenous role models and contributions that have been made by Indigenous peoples. 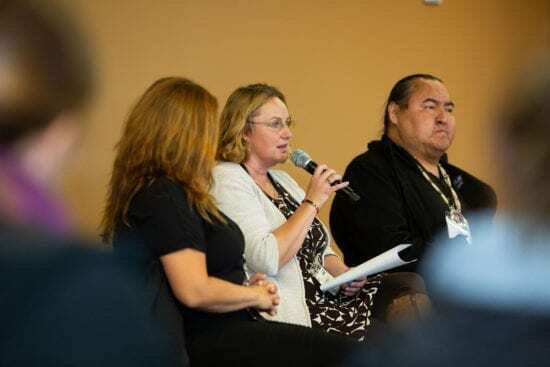 Panellist Julaine Guitton is a novel example of a non-Indigenous teacher who has prioritized the resiliency of Indigenous peoples within her classroom over topics of cultural genocide and residential schools. This approach, entrenched in the viewpoint that Indigenous peoples are not victims first, has proven effective among her fifth and sixth-grade students as project lead for Stavely Elementary School’s “Project of Heart.” The project entails general research about residential schools in Canada, followed by more narrowed research into a particular residential school, meeting with a residential school survivor and a culminating artistic act of reconciliation. In a rural township where many students live on farms and ranches, understanding Indigenous peoples’ connection to land and place was cornerstone to these discussions which, as Elder-in-Residence Francis First Charger illustrated, allows students to understand different people, different worldviews and interrelations. Ira Provost, Manager of the Piikani Nation Consultation, was Ms. Guitton’s community resource person throughout the project. 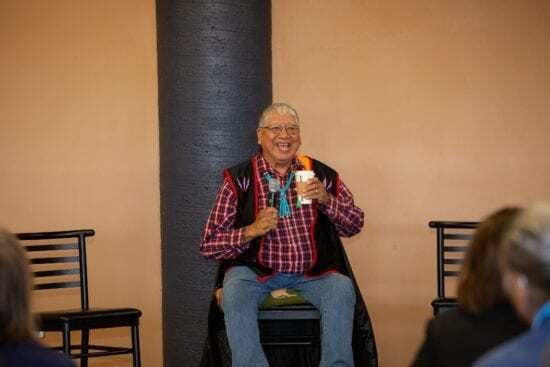 With a career as an Indigenous liaison and cross-cultural educator, Provost found himself astounded by the depth and breadth of learning that had taken place, which transpired through speeches that the students had presented to school board trustees, the superintendent, Stavely’s school principal, FNMI support personnel and Elders from the Indigenous community during a class-organized community event. 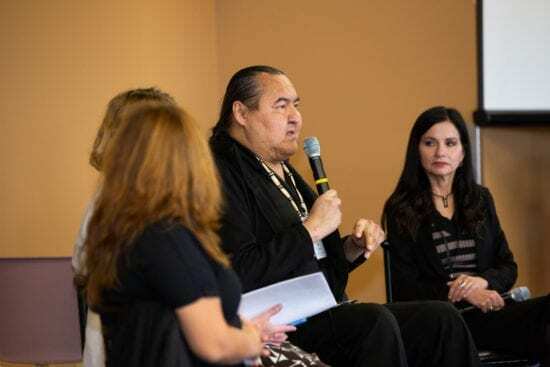 All Indigenous peoples want, as Provost highlighted, is meaningful engagement, which forms the derivative of an ongoing commitment to starting early and moving beyond one-off endeavours. Fact Sheet: How can we embed Truth and Reconciliation in every school?